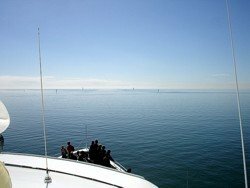 Optional Wild Dolphin Feeding plus other activities & inclusions extra. 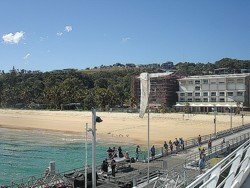 to Moreton Island and Tangalooma. One August Winter's day my sister and I did a Tangalooma day trip from the Gold Coast. We had the most amazing weather and experience that day. 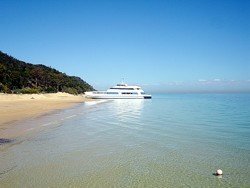 It is quite popular to do one day tours to Tangalooma from Brisbane or the Gold Coast, as well as stay over on Moreton Island at Tangalooma Island Resort. If you are considering adding a trip to this amazing place, I recommend that you plan your itinerary around the trip. A day trip will be a full on day, leaving your hotel around 7.30am and returning to Gold Coast anywhere from 6.30pm to 10pm depending on whether you stay for the Dolphin Feeding. Anyway, back to the photos! 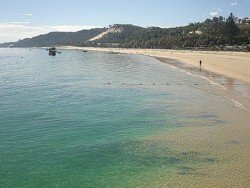 Here are some more of my pictures of Tangalooma. Tangalooma Ferry on the beach. The sand is just amazing and so clean. Tangalooma apartments are right on the beach next to the ferry jetty. You can see the building works going on in this August 2007 Photo. boats on the beach at Tangalooma. 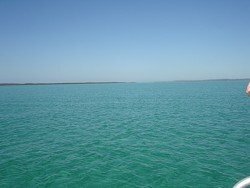 Tangalooma and the water in Moreton Bay. 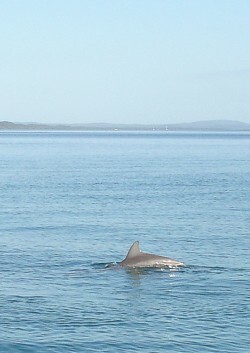 Dolphins in the water at Tangalooma. We saw these from the boat on the Eco Cruise. Tangalooma Resort beach in front of the main resort buildings. The walkway goes towards Tangalooma Villas. The Tangalooma beachfront as seen from the boat jetty. In the distance you can see the Tangalooma Wrecks and the sand tobogganning area on the hillside. 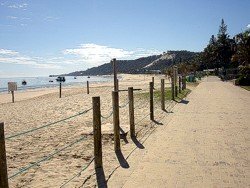 It's quite expensive to go to Tangalooma, whether you stay at the resort or take a day trip from your Gold Coast hotel. It is one of those truly amazing experiences that is fairly unique and one I highly recommend. I am not a professional photographer by any stretch of the imagination! However, I hope you enjoyed these extra photos of Tangalooma. 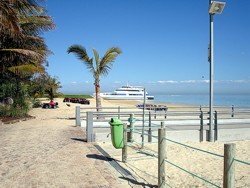 Don't forget to add Tangalooma to your itinerary either for a day trip or stay over at Tangalooma.